This podcast is mine it is totally irregular uploading of episodes since I work as a full time nurse and when I come home from work I am totally tired. To be honest I have not gotten very far in my FINISHES this year. I love quilting and try to keep working on my projects… but it is slow going. I do blog and podcast about the the quilt books, notions and newest techniques I buy. I plan to post an episode once a month …. that said it has not happened yet…. SANDY has been podcasting for over 5 years and it has been an interesting journey. 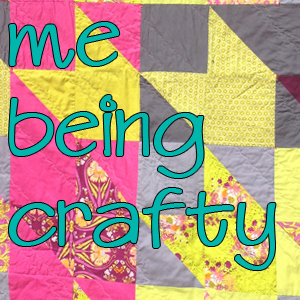 She discusses all things quilting and creativity. Her podcast are often inspirational as by profession she is a theologian and works with immigrant families. Currently she is going for her graduate degree. She often reviews quilting books and notions so you can save your money not buying items that does not work. I love listening to her episodes. 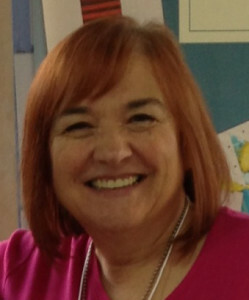 Frances is a children’s book author who has taken up quilting in the past 7 years. She is a dedicated finisher and takes you along on her journey. I loved listening to her podcast over the last 5 years as she progressed from a newbie with a new to her sewing machine to an accomplished quilter. Frances is from North Carolina and talks about her life, her kids, quilting and the weather. ( joke) She also often talks about the books she is reviewing. Frances often wanders off topic but so delightfully. I look forward to everyone of her episodes and often listen to them more than once. 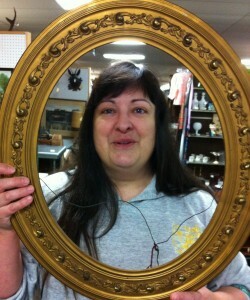 Pam is the most prolific and consistent pod-caster and quilter. Her out put is amazing especially when you consider she works at home at a very busy job and family life. She talks alot about her process. I follow both her blog and podcast in Feedly so I do not miss an episode. Pam and Daisy are currently reading books together and then reviewing them as part of the podcast. Their book picks are interesting. 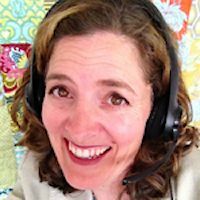 I know you will find this an interesting quilting podcast to listen to… she will definitely inspire you to keep at your projects. TANISHA is a book buyer for a major Washington D.C. company. She talks about her journey in crafty from her teen years to now as mother of two adorable little girls. She talks about the processes she uses to make her art quilts and art journalling. She currently has a serial quilting projects. Tanisha also reviews books that will be on the market soon. She also has a passion for classic movies and reviews them. I love her eclectic choice of topics… it is like talking to your neighbor over the backyard fence. ANNIE SMITH was the first quilting podcaster. She published over 100 podcasts when life through her a curve and she had to slow down in her posting new episode. I liked her podcast because she interviewed quilters on the west coast as she is based in California. 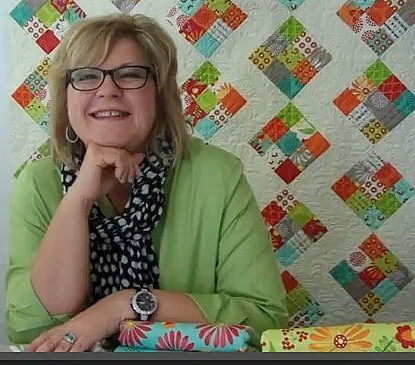 Annie is teacher and quilt judge so you always garnered helpful hints from her episode. My favorite episodes of hers is the discussion of entering quilt shows. I have only touched on a few of the topics she discusses I always learn something from her she is well worth the LISTEN. 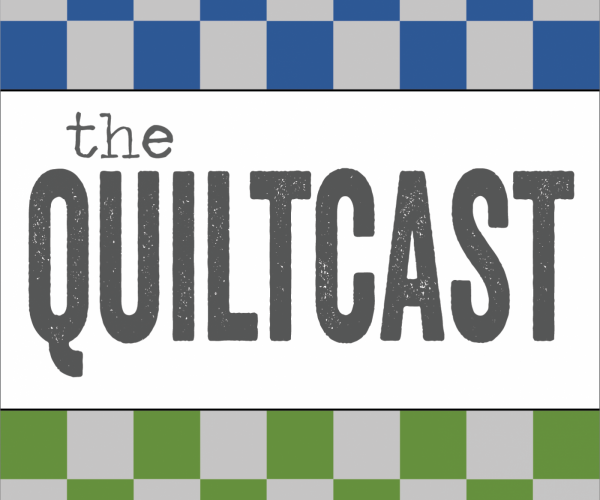 QUILT PODCAST …. NO longer as active …. Angela teaches a variety of popular motifs and how to use those motifs in the negative / backgrounds of quilt tops. She stresses the importance of practicing and sketching the patterns to improve muscle memory. Many of the motifs were new to me when I first took the class but now they are my go to motifs when I get stuck in a project. Angela teaches how to do traditional feathers applying them to MODERN QUILTS. Angela shows how to evaluate a block and design a quilting motif that will highlight and enhance the patchwork. 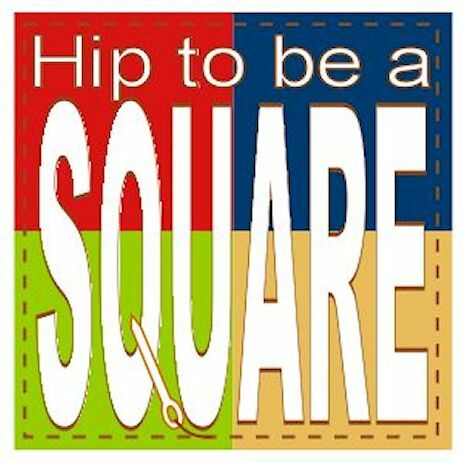 She has broken down block designs to their simplest elements so that you enhance your entire quilt. This class is an enhancement of her earlier MACHINE QUILTING in NEGATIVE SPACES. She shows variations of motifs from the original class. I am going to BLAME my Craftsy obsession on Angela Walters. I recently went through my ORDER HISTORY on Craftsy and reviewed all the classes I have signed up for. I have purchased thirty eight quilting classes since September 2012. I got one free class at the time for joining up and testing the platform. I later signed up for every free class they had listed. 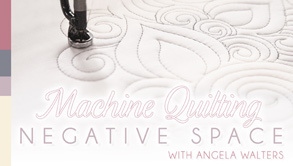 It was not till Christmas time 2012 when I signed up and watched Angela Walter’s Machine Quilting Negative Spaces that I went nuts with signing up for every FMQ class available on Craftsy. I already had a large collection of DVDs about Free Motion Quilting (FMQ) but Angela’s class broke down how to learn the motifs and patterns that actually resonated with me. Angela teaches you to sketch the pattern on paper or dry erase board until you built up your muscle memory. The motif that Angela teaches is demonstrated on a long arm, but can easily be translated to being sewn on a domestic machine. In later classes Angela demonstrates and teaches her motifs and techniques on a domestic machine. Prior to Angela the FMQ motifs I learned were feathers and traditional motifs in nature. 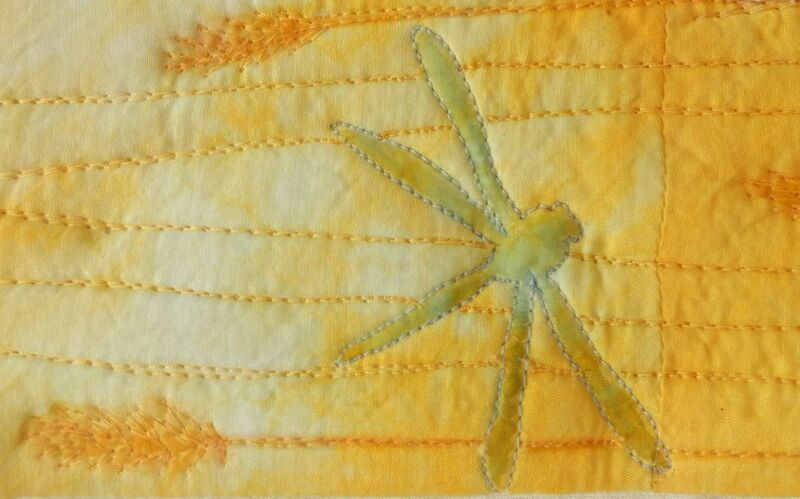 The long armer’s I took my quilts to only did pantographs or custom quilting in traditional styles. 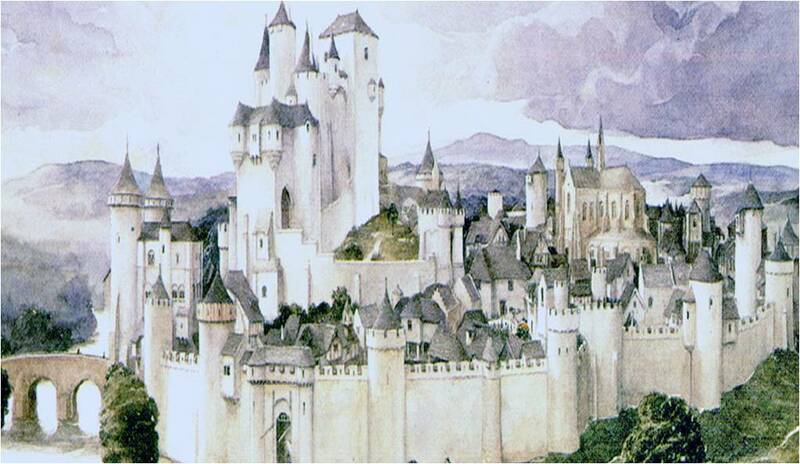 Angel’s motifs were more MODERN in styling. Her motifs the same as used in traditional quilts were applied in a totally fresh and innovated way. What was more important to me I could learn and apply her styling and do them on my domestic machine. Angela also tackled the area of quilt top that terrifies most quilters the “negative” space. Those open areas need to be quilted to not only keep the quilt sandwich together but the negative space area actually focuses, highlights and show cases the FMQ. In each of Angel’s classes I learned various techniques and motifs that I have since applied to my own quilting project. My confidence in my FMQ and willingness to try new motifs and techniques has grown. I will not say I am a wonderful perfect FREE MOTION QUILTER as a matter of fact much of my motifs tend to be a little wonky in nature, but I will say I learned to be adventuresome with Angela. I have found her easy teaching style to be inspiring. I have since taken all of the other classes by Angela and have found I learned something from each one of them. I did find Machine Quilting Small Changes Big Variety Class to be somewhat repeative and too similar to the first class, NEGATIVE SPACES. That said, I have always felt I got my money’s worth from the classes. I will say that DOT TO DOT is my second favorite class. Here she demonstrates using a domestic machine. 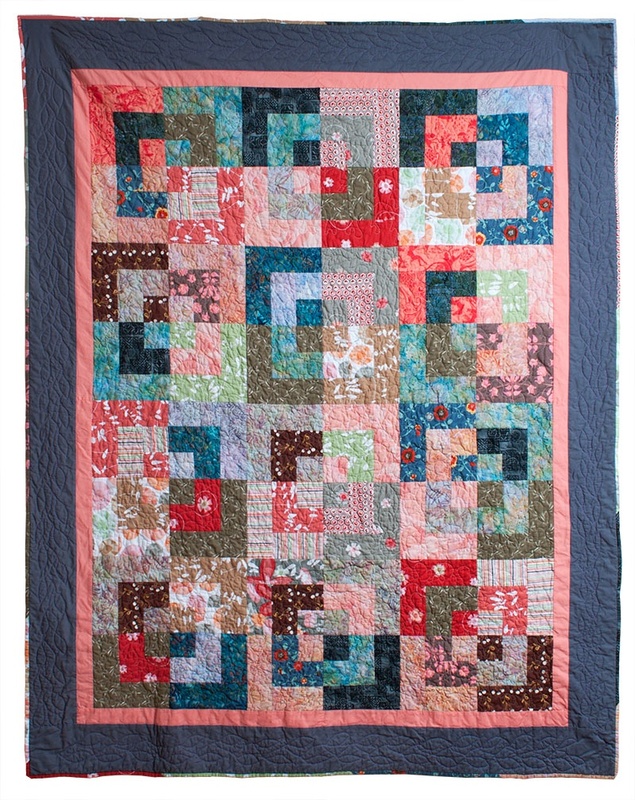 The motif she shows teach how to highlight and show case patchwork blocks. This is something I have always had trouble with as I had always quilted panels in a thread painting style. Recently I have made a series of pieced baby quilts but was at a loss as to how to quilt the blocks to show them off to their best advantage. The DOT TO DOT class really helped me go through the process of analyzing the blocks then designing a motif to highlight the piecing. I do find when I get stuck on a project, I fall back on ANGELA’s classes to find inspiration. These are one of the few classes I repeat on a regular basis. As I have stated before I prefer DVDs to the CRAFTSY platform, but I would purchase Angela’s classes in a DVD format despite owning the classes on Craftsy. Since Craftsy -like platforms have become such big business in the on line craft learning, I have noted there are less and less DVDs available for purchase. Even the independent DVD producers who use to develop a DVD series are no longer producing as many. In the future I will review the DVDs I have purchased so that if you can find them you can decide if you wish to purchase them.